Caboolture Hospital is starting a new multidisciplinary Chronic Wound Clinic for local patients. This is a trial service for six months with Caboolture Hospital Director of Surgery, Mr Brian Kirkby, starting in mid-February. 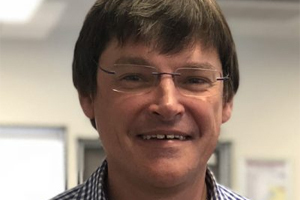 Caboolture Hospital Executive Director Dr Lance Le Ray said a recent review of surgical services had identified that access to care for people with chronic wounds could be enhanced. “Chronic, non-healing wounds can have a major impact on a patient’s quality of life and we want to support these patients at Caboolture Hospital,” Dr Le Ray said. Dr Le Ray said patients would require a referral from their GP to the Caboolture General Surgery Service which identified the patient was for the chronic wound service. “Referrals will be accepted for patients who have a chronic, non-healing wound of more than six months and which is not responding to current treatment, such as a lower limb ulcer,” Dr Le Ray said. are patients whose GP or health care provider/s are not able to be primary care giver/s or follow the wound management plan of care, which will be provided after the patient’s appointment. For more information, contact the Caboolture Hospital Clinical Care Coordinator. Phone 5433 8955.